Sometimes Google search brings readers to slum magazine wondering how to refinish an old armoire (how to give furniture a second life) or for dating advice (a second life after divorce); or god simply plays tricks on them. Anyway, here you are. Welcome! Second Life is of course an open virtual 3D world populated by thousands of adults who choose who they are, how they look, and how they will spend time in this resident-built environment. Yes, everything you see when you stumble around Second Life as a new person, was built by me! Or if not me, some other imaginative and dedicated pixel resident. When we first arrived, there was nothing! We had to sleep in the cold, did not know how to build a fire or change into warm boots and gloves, and had to walk to school uphill both ways. Now there are places to see and things to do that we could not have conceived of: shimmering, surreal, frightening, eye-popping, silly, startling worlds. Plus, we can fly! And if we fall out of a tall tree, we don’t hurt ourselves. It is not intrinsically a game, with an established goal (finding the treasure, defeating the enemy… though you may find like-minded Second Lifers willing to play). The goal is mainly, simply, to enjoy yourself. The creators of SL, Linden Lab, want you to sign up, stay, invest in land, build, buy things, invite your friends. Srsly. Here is a nice man who can explain it in a way that might make more sense to you. He is educator Owen Kelly, lecturer in Online Media at Arcada University of Applied Sciences, Helsinki, and in this video he explains casually and briefly, about how the idea of a virtual world originated, how Second Life came about, and what the heck we do in here. He’ll also fill you in on the basic SL economy. Traditionally, there are four kinds of experiences when you join Second Life. 1. You enter as part of an educational or corporate initiative, and stay within those boundaries; or similarly, you are solely a gamer or role player, you take on an alternate identity and restrict your connections to the rules of the game or the limits of the role play. 2. You enter cold, all on your own, and never get past the confusion (“what am I supposed to do”) and frustration (“how do I do it?”). (Or you can’t handle the havoc that Second Life wreaks on your older computer.) Aw, at least you tried. Bye bye. 3. You blunder through the initial confusion and frustration by sheer force of will, and find yourself becoming fascinated with the place. You explore, make friends; then you may learn to create something in Second Life, and maybe sell your creations. Or you may open a gallery or start a club. You may take a spouse and live in a McMansion by the sea. And have your heart broken, or your business fail, and you start again. And you may learn something. Ultimately you appreciate this virtual world and see its potential, which turns you into a frequently angry person when the gods (Linden Lab) don’t manage things as they should. Eventually you cut down on your online time, or even leave*. Most of the people you see flitting around in Second Life are at some stage of this Evolution of the Avatar: they are believers. They buy into the idea of a virtual second life. 4. The most recent category of experience: You were invited into Second Life by a cool friend, cause it’s a great place to chat and hang with other friends! And that’s what you do. You find places that others have built and hang out there. You contribute to the economy by buying clothes and gestures. Sometimes you buy vehicles and drive them around sandboxes. 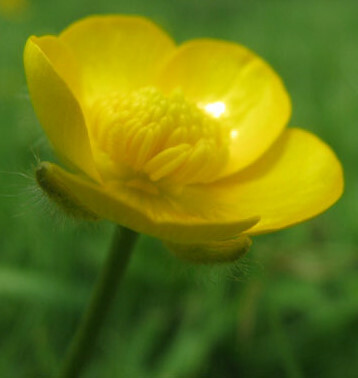 Most of the time, Buttercup Thursday feels like smacking you. Look out for her. For a break from the SLrat race, visit the quiet and romantic Wanderstill. So now you know all about Second Life, why don’t you sign up? It’s free. New people to Second Life (called newbs or noobies) are often helped and mentored by long-term residents (called addicts). Newbies are always treated with the utmost respect and patience*, and the best way to find out what to do and see in Second Life is through a guide or mentor. –How to ride a motorcycle on a timed track. –Where to find the best live, streamed music performances. –How to have snowflakes and snowman heads explode out of a box. –How to go to Zindra and attach a— oh never mind. You get the idea. Of course there are many things I haven’t told you about Second Life, like the global quality of the place, where it’s possible to discuss Skyfall or Plato or go virtual dancing with someone on the other side of the world, but I hope, oh Google traveler, if you have lasted this long, that you have learned enough to whet your appetite for all things virtual and unlimited. And if you do join us, I hope you become one of the believers. There’s a whole new world in there. See you in Second Life. If your taste runs more to the macabre, a visit to Madpea Carneval is a must! View part 2 of the interview with Owen Kelly here. For some reason I love this interview. Mr. Kelly is an academic, and Second Life is all serious blah blah, but he recognizes the joyful side too… hey Professor Owen, want to go dancing at Junkyard sometime? « Does Second Life Love Threaten Real Life Marriage?